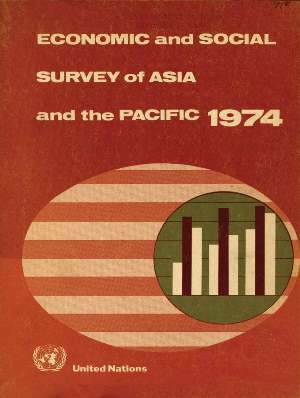 The present Survey, the 1974 edition in a series prepared annually by the secretariat of the Economic and Social Commission for Asia and the Pacific (ESCAP) (formerly ECAFE), as in previous years, analyses recent economic developments in the region and international events affecting it. Perhaps more than in the past, particular attention is paid to economic and social policy issues and broad development strategies. This Survey was compiled during 1974 as a mid-term review and appraisal of the International Development Strategy for the Second United Nations Development Decade in the ESCAP region. In this respect it is similar to the 1972 Survey, which took the form of the first biennial review and appraisal for the Decade. This Survey initiates the practice of producing an integrated coverage of both economic and social developments, reflecting the unified and multidisciplinary approach to development endorsed by the Commission at its 1974 session and the change in the name of the Economic Commission for Asia and the Far East to the Economic and Social Commission for Asia and the Pacific. The International Development Strategy for the Second Development Decade lays down the goals and objectives for the decade and emphasizes the need for appropriate arrangements for evaluating progress. To assist in this task, the present Survey includes as Part One a review of the economic and social situation in the ESCAP region; as Part Two a more detailed analysis of seven major priority problems—related to food, energy, raw materials, development assistance, employment, trade, and landlocked and island States; and finally, as Part Three, a discussion of short-term and long-term policy needs in the context of both immediate problems and development strategies, with emphasis on the need for “planning for the masses”. This Survey is published on the sole responsibility of the ESCAP secretariat. Although its contents have benefited from the comments of both experts and official representatives from member countries, the views expressed herein are not necessarily those of the Commission or the Governments of its member countries.